Formerly of synth-band Freezepop and video game company Harmonix, Kasson Crooker creates sounds as dynamic as his own career. 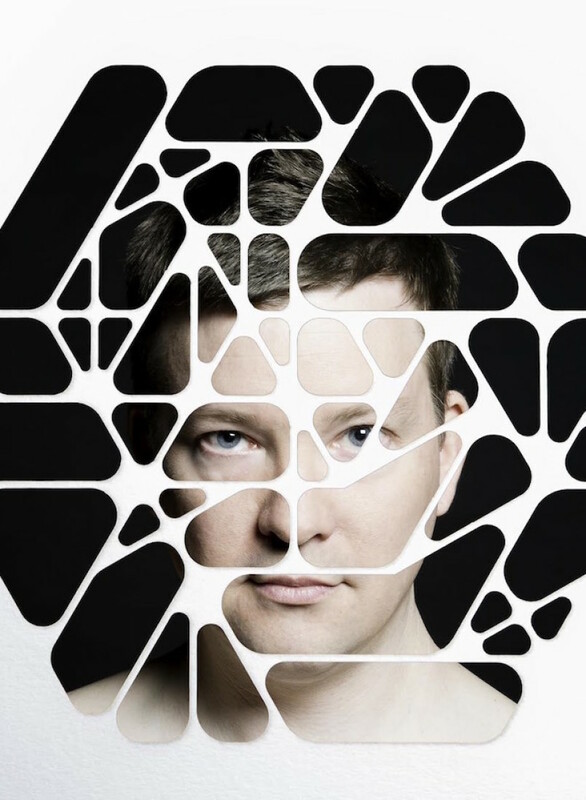 On past Symbion Project albums, Crooker indulged his electronic ideas without confining himself to any one genre or sound. For instance, on 1998 album “Red,” tracks like “Tcejorp Noibmys” explored breakbeat loops in a way that wouldn’t have sounded out of place on a DJ Shadow or RJD2 record. 2003’s “Immortal Game” favored complex programmed percussion and floating, atonal squiggles of synth noise over atmospherics. On 2007’s completely instrumental “Wound Up by God or the Devil,” specifically the track “What You Are, We Once Were,” Crooker goes full-on Moog instrumental and directly references Tangerine Dream’s soundtrack for Legend. 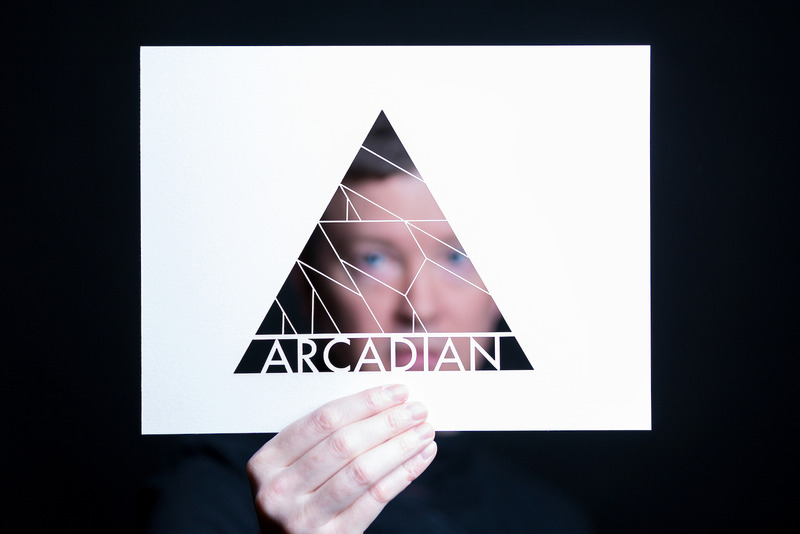 Much different, once again, is the new, guest-rich LP “Arcadian.” Crooker has assembled a cast of excellent guest vocalists, like Briana Marela (Amiina, múm collaborator), Jenni Potts, and Markus Junnikkala from Finnish band MY. 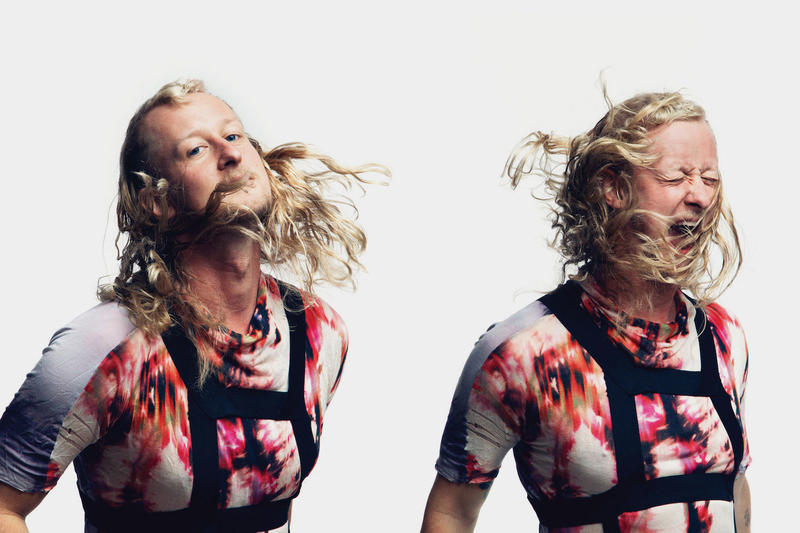 On track “Bloodthirsty,” Junnikkala’s delicious singing, like a multi-tracked David Sylvian, swings above Crooker’s subtly funky beats and ornate, melancholic keyboard melodies. On “Venus,” Crooker’s former band mate in Splashdown, Melissa R Kaplan, delivers a virtuoso, soulful performance. Marela provides sweetly sung lines on “Stainless Endless Radiance,” and multi-talented Seattle musician Potts sings “The Charmed,” a brooding, beautiful tale of heartbreak, reminiscent of mid-90s Bel Canto if they’d looped ghostly guitar samples a la Portishead. An attendant, 3D video for “The Charmed,” with its glitch-y visuals of dancers breaking into disembodied shards as they move, shouldn’t be missed. Not all sounds spring from Crooker’s vintage Moogs. He garnishes songs with Gus Sebring’s French horns (“Beekeeper’s Muse”), field recordings of bonfires (“You Remain”), or, on “Such Letting Go Is Love,” Geoffrey Klok’s classical guitar. 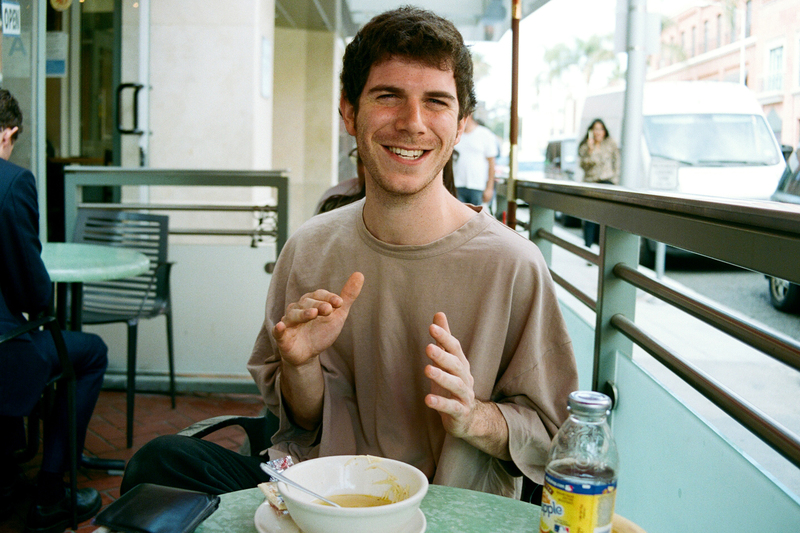 On some tracks, head-nodding beats could easily be imagined bumping from jeeps on a Saturday night, and while there is joy in many songs, this isn’t a party record, but an obviously personal exercise by Crooker, each song a conceptual look at themes of escapism (“Arcadian”) or personal loss (“You Remain.”). It’s why Crooker sings more than he ever has, maybe, on any Symbion Project record, even processing his vocals as stand-ins for instrumentation, as on the French-horn-ended “Beekeeper’s Muse.” As much as he employs more formal vocalists as guests, it takes only one listen to realize “Arcadian,” taken as an album, belongs to Crooker’s voice. For listeners, Symbion Project albums seem very different from each other. 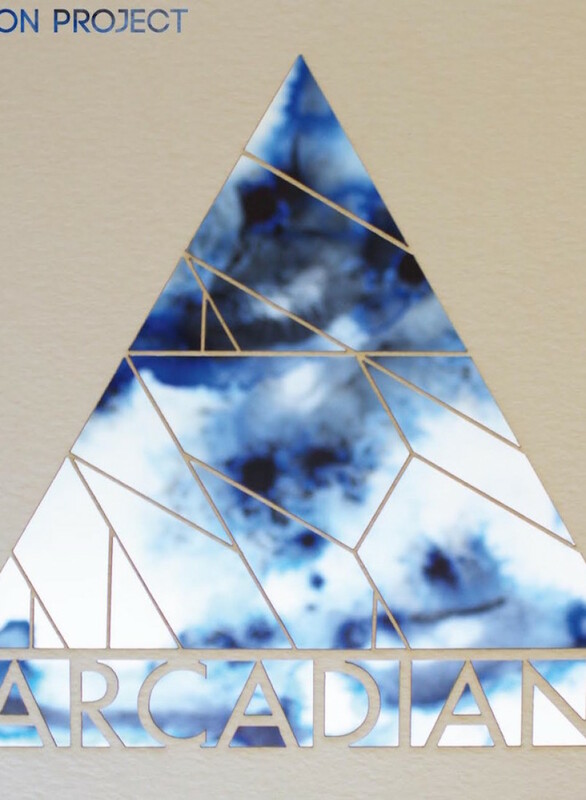 How is “Arcadian” different – to you? My favorite albums, from other artists, have always been ones where there is an active push to evolve the sound, try new musical approaches, take chances. With the eight Symbion Project albums that have been released over the past two decades, I’ve wanted to use this template for my own music; to keep listeners on their toes, not knowing what to expect, to force myself into new boxes to explore both musically and production-wise. To strive to do that and keep a consistent sonic signature, across all albums, is the holy grail for me. Some of my favorite artists fall into this category, from Radiohead to The Beatles to Son Lux. For me, “Arcadian” has a definite uniqueness that I’ve not captured in past albums. I wanted to collaborate more on the album than I have in the past and was honored to get to get creative with Seattle singers Briana Marela and Jenni Potts, feature my long-time collaborator Melissa R Kaplan, who I was in Splashdown with, and work with the amazing Finnish singer Markus Junnikkala. From a production perspective, I wanted “Arcadian” to have a cleaner, crisper sound, which favors more drum programming than loops, which I heavily used on past albums, and feature some live instrumentation courtesy of some amazing classical guitar playing by Geoffrey Klok and French horns by Gus Sebring. And lastly, I wanted to aim for the album to have more of a consistent narrative thread through the lyrics, exploring aspects of escapism ~ from a chaotic world, from tumultuous relationships, from self-doubt. Any guests you wanted for the album, tried, didn’t get, but plan to try to get again for future projects? All the people I approached to collaborate with I was super fortunate to get to work with! As for future projects, there are so many amazing, talented musicians out there that, with a bit of luck, I might get to compose with. A definite shortlist would be Bjork, Low, Simian Mobile Disco, and Beck ~ who knows, right?! Brass and acoustic guitar is used on Arcadian; what else is non-electronic? Getting to add some non-electronic sounds to the mix really helps bring a more lush, organic quality to the songs, especially when played by world-class musicians! The only other non-electronic sounds on Arcadian are field recordings that I’ve mixed in (lightly) into some of the songs. “You Remain” is a song about my father, and sitting with him as a child on the beach next to a bonfire watching stars – so in the background of that song is a recording of a bonfire recorded in the very spot I’d sit with him, year after year, watching shooting stars. I’ve always been moved by the sounds of nature and have felt that they work well with the sparse, atmospheric mixes that I create. I’m also a huge fan of wind-chimes and find any excuse to work them into a mix, even at the edge of perception. I knew that on Arcadian I wanted to sing on more songs that I have traditionally in the past, but I wanted to find a signature approach to the vocal sound that would be used on all the songs, to bring a cohesive sound. I’ve never felt like I’m a strong singer ~ I don’t have a great deal of range or characteristics ~ so I look to other techniques to find a unique sound. I love-love-love vocal layering and so there’s tons of that ~ stacked harmonies galore. In addition, I like to have a sort of dystopian coldness to the vocal sound and that’s where processing like vocoding can be crucial. Many times I’ll double the lead vocal, or create stacked harmonies, with vocoding or other vocal processing which adds a bit of robotic quality that can be unnerving. The other approach was to create some of the atmospheric beds for songs out of vocal processing rather than synthesizers. On songs like “Mikros Kosmos” and “Beekeepers Muse” there are chords and textures created solely out of my voice layered in effects. I’ve found that there is an expressiveness with your voice and vocal effects than you can’t get with synths. And from a lyrical point of view, I challenged myself to explore the themes of escapism and loss of identity in the songs, almost as if I were creating a concept album. Normally I’d just have each song be a different topic, but this time I needed to explore just one topic from a few different perspectives. Do you own a Moog modular? Which one is it, & where did you get it? I do! I was very fortunate to acquire a 1968/69 Moog Modular when living in Massachusetts about 10 years ago. It’s a full three-cabinet system that is quite similar to Keith Emerson’s (RIP) and has both the original keyboard and ribbon controller. I can’t imagine that there are more than a dozen systems so complete and functioning in the world, so I’m quite fortunate to have that in my arsenal of vintage synths! It shows up a few times on Arcadian with bass synth sounds and some odd sound design elements. I would love to perform one of my classical synth albums live someday but this Moog’s just not able to be moved easily without damaging it. Here’s a pic of what it looks like! “The Charmed” is particularly complex, song-structure-wise; was it always that way? Nice of you to notice! I’ve always been a fan of non-traditional song structures have tried hard to find ways to surprise listeners by changing things up in songs, hitting them with something unexpected. “The Charmed,” even from its initial incarnations, has always been a long, complex song that takes a few unexpected turns, and introduces new sound elements along the way. One of my favorite techniques is to take a song that evolves with a standard verse/chorus arrangement, and then abruptly change to a new section, never to return to the beginning sections again. It can be hard to pull this off, especially if there are key changes involved and still have the song flow in a natural and engaging manner. When the song was instrumental, that abrupt change near the end never quite worked and it wasn’t until Jenni Potts started working on it that we were able to make it seem intentional and natural. It’s almost like condensing a symphony, that would normally have three long, unique sections, down into a six-minute pop song. Lastly, creating complex and layered songs for me is what makes a song stand up over time. It’s not easily digestible, and you have to engage the song many times in your life to tease apart the lyrics and soundscape. This approach brings you back to a song over and over and it never gets old. Your Lana Del Rey remix was well-received; any new remixes planned? I’ve always loved doing remixes. There’s something nice about not having to write a song and just dive into someone else’s and produce it as if it had been your own. Over the years I’ve done remixes of Depeche Mode (I won a remix contest back in the day beating out over 1000 other remixes! ), Kimbra, Kodomo, Information Society, and Freezepop. The Lana Del Rey remix was especially fun as I love the quality and expressiveness of her voice. There’s so much hurt and melancholy in there that I feel an emotional kinship with. It’s a similar aesthetic to the music I write on my own, so working with her vocals felt so natural. As of now I’ve not being doing remixes, but now that Arcadian is finished I’d love to do some more; contact me if you’re interested! What’s your favorite piece of equipment? New or old? I think I’ll break this question into 3 parts, since we’re talking about gear, and have it be for hardware, software, and effects. Easily my favorite synth that has stood with me over the years on many albums has been the Alesis Andromeda A6 polysynth. It’s easily one of the ugliest synths ever made, and the UI is pretty abysmal, but the sounds – oh the sounds – are some of the most lush and powerful I’ve ever heard. Plus the combination of having the ribbon controller on it adds a dynamic quality over the sounds that really makes them evocative. Honorable mention would have to go to the Moog Voyager (I’ve own both a stock and XL version) and they’re really a fast go-to synth and usually end up as the bass synths on my songs. From a software perspective, I’ve been a fan/user of Reason since V1 and have followed it through all the versions. About 90% of my production, from drum programming, song arranging, mapping out chords, and some synth creation, along with much of the vocal processing, was done in Reason 8. It’s not until a song is completely finished that I bounce out all the tracks and mix in Digital Performer. Which leads me to my favorite plugin, which easily has to be Altiverb. I’ve been using that as my sole reverb for many albums and I use a TON of reverb. There are so many impulse responses out there for it and it’s just a fantastic sound design tool and sonic sculpture. I don’t often recommend super expensive plugins, but Altiverb is one of the few that I highly recommend. Oh, and I think it should be noted, that for my live shows, after huge consideration and trial and error, the Elektron Octatrack has been the key piece of gear for shows and to recreate my complex studio productions live. Steep learning curve on that box, but well worth it! How do you balance touring & working for Harmonix (are you still there or f/t there)? I haven’t been at Harmonix now for a few years, but when I was there working on RockBand and Dance Central franchises, I was able to balance both work and getting to play shows. Harmonix always had an amazing culture of musicians and was very supportive of employees playing shows. Back then, I was mostly playing shows with my synth-pop act Freezepop, and we’d go off and play lots of shows. We were also not really ever doing tours that lasted too long, so they didn’t interfere that much with making games. One of the reasons that Harmonix videogames are so authentic was we were able to bring our experiences as touring musicians to the games. How difficult/easy is it for artists to get their music involved with video games? How lucrative can it be? Much like getting licensing opportunities for placing songs in movies and TV shows, getting a song into a videogame can be just as difficult. The music games (Guitar Hero and RockBand) were sort of an anomaly in that the whole game experience was about the music and they needed lots of songs and genres to make them interesting. Most non-music games work with a composer to create custom OST that fits the aesthetic of the title and contains the amount of interactivity needed to keep the music fresh and evolving based on gameplay. Also, similarly to composing for movie and TV, it can be very lucrative to a small few who are the most well-known and connected, but for the rest of us it’s just enough to pay the bills but you’ve gotta constantly hustle to find the next project to work on. There are tons of opportunities to compose for indie-games, but sadly those titles are on shoe-string budgets and never sell more than a thousand units. Like anything having to do with the arts, you do it because you love it, not because of the money. Video game design: concept, or do you also code? Talk your work on the game Shard (which, by the way, looks amazing), or anything else new, that you’re doing, video game wise? Shard is my sole game project at this time and it’s been super fun working on a small, talented team with Roger Hanna and Anita Tung. As of right now, I’m composing the soundtrack for it, as well as the sound design and environmental beds. It’s been a struggle to define the audio aesthetic of the game, but as more and more art goes in and the game takes shape, I’m able to refine that sonic approach and capture the right vibe. The team has been showing the game at indie-game events over the past years and it’s gotten some great accolades, most recently winning the Audience Pick award at the Intel Buzz Workshop Dev Showcase. Similar to “Arcadian,” I’ve been exploring some ways to fuse my normal electronic music approach with field recordings and some carefully chosen organic sounds to create a unique sonic palette. For more on Shard, follow on twitter for all the updates (@ShardGame). Beyond Shard, I’ve been enjoying what’s evolving the VR space and would love to collaborate on a VR/Audio title that could include some of my specialized knowledge of spatial HRTF audio. We’ll see!